This is probably one of the fastest layouts I ever did. I used a Studio Calico mask on the background with some Clay mist. 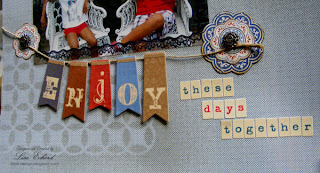 Then added the banner from the Saturdays collection by Little Yellow Bicycle. 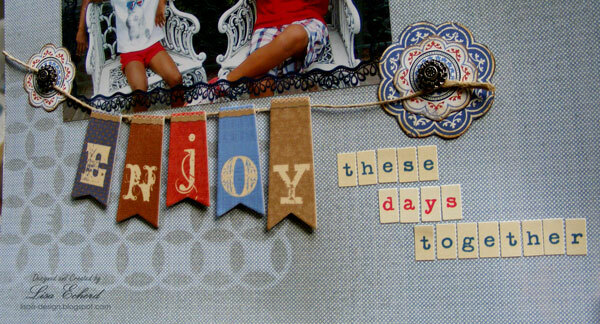 I cut a few embellishments from the papers and added some paper strips and Washi. Then the title and it was done. Mainly I wanted to showcase this great photo my stepdaughter took of the kids. This wraps up my vacation photos from this summer. Now I'm ready to go through all the papers and pick some for a mini album to make as a gift. I love that mask and misting! Cute banner too! 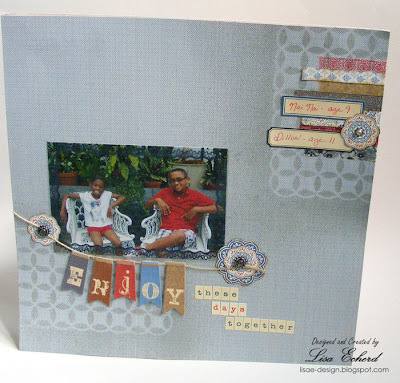 Lovely page! I have got to use my masks and misting more often. 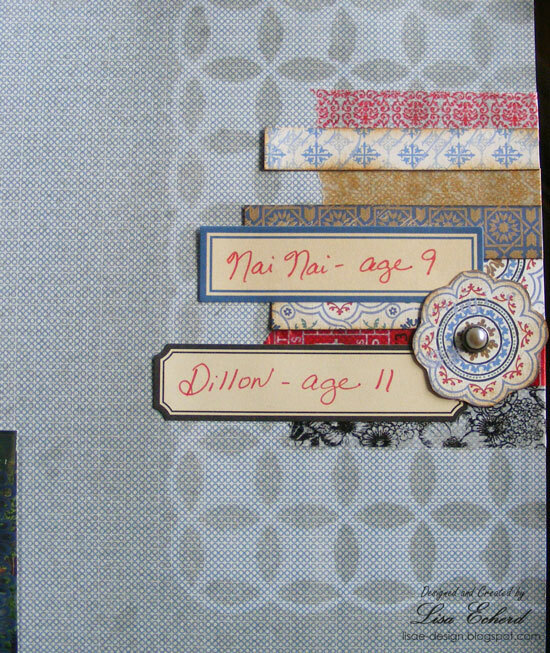 Great layout and love the journaling tabs. 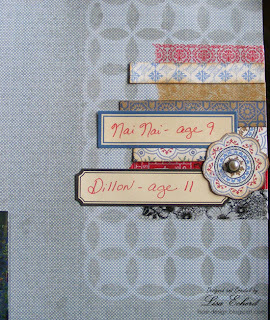 I really like the layering with the washi tape and papers. Great page! I love the misting, and that fabulous banner.